Sell your KONG items on eBay ! A band finds their sound, a band creates something like never before. 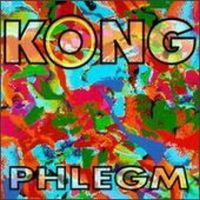 Phlegm is the greatest studio release by this unheralded Dutch band. The elements of their sound really all fall into place here, with brilliant aggressive drumming, superb sonic effects, and a smooth melody line that will put you in an almost trancelike state when put together. This record is very much out there. The band is very close to RIO with their entire setup and structure, crafting an entirely new sound. M.O.N. for example, is based on a very heavy riff that is played alongside an electronic groove bordering on house style beats and significant psychadelic influence. Stockhouse is arguably the most profound thing the band has ever done, creating an environment that is one that must be experienced. Phlegm is also extremely catchy. It's a record you will enjoy moving around to, giving out an overall vibe of pure ecstacy. The guitar work here is also well-done, though may be perhaps overlooked by the significant impact of the drumming and electronic effects. This record will captivate you, and an hour of your time will pass by unnoticed, enchanted by the magnificent work that Kong has brought us. An extremely overlooked asset to the prog community. 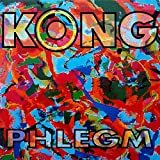 Post a review of KONG "Phlegm"